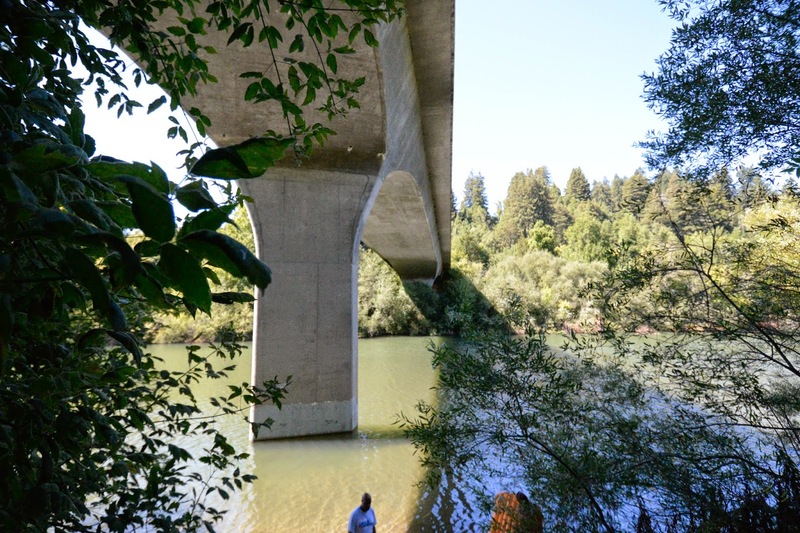 The next bridge across the Russian River is a prestressed concrete box girder bridge on pier walls. 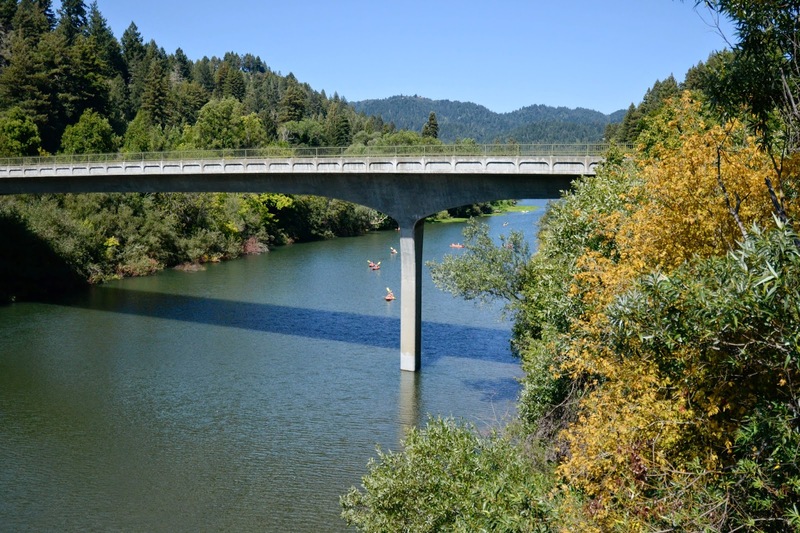 The State Route 116 Bridge across the Russian River (20 0254) is a four span, 917 ft long bridge that was built in 1998. The previously built truss bridge sits beside it as a pedestrian bridge. Caltrans architects try to shape the edges and corners of the piers and girders of cast-in-place bridges so they don't look like they were made with a cookie cutter. Sonoma County, California Bridges: State Route 116 Bridge across the Russian River by Mark Yashinsky is licensed under a Creative Commons Attribution-NonCommercial-NoDerivatives 4.0 International License. I believe the bridge is 805' long ..